One of the deadly money attitudes—ignorance—has caused many to lose money. According to my friend, Ann Cuisia, CEO of Traxion. Tech, cryptocurrency scams are getting rampant in the Philippines because individuals fail to discern and study what they are getting into. They tend to go after the bottom line only. Her team, which is launching its own token, is educating the public on how to evaluate cryptocurrencies. I believe people should invest only in something they understand, and that education should be carried out far and wide. Let’s start with some of the common questions on bitcoin in particular and cryptocurrencies in general. 1. What are cryptocurrencies? What is bitcoin? Cryptocurrencies are virtual (or digital) currencies. They are, unlike traditional money, not controlled by any central bank (thus the term “decentralized and distributed”), but blockchain—its technology—cryptographically secures all transactions. Bitcoin is probably the best-known crypto coin, although there are others such as ethereum that are slowly gaining ground. Aside from coins, tokens are also classified as cryptocurrencies, although not all function as currencies (e.g., utility tokens). 2. Why are there huge swings in the bitcoin price? One reason is that bitcoin, unlike company shares listed on stock exchanges, is not influenced by fundamentals. In fact, because bitcoin does not generate any return, it does not have a fundamental price. Another reason is that regulation in this space is still in its early stage. A third cause of the volatility is that most bitcoin buyers are individual investors who rarely take a long-term view of their assets. Most of the ones that do take a buy-and-hold stance—the institutional investors—still prefer to remain on the sidelines. 3. Many of my colleagues have been investing in cryptocurrencies. Would you suggest that I invest in these, too? Just because others are into crypto investing does not mean you should, too. Let’s get down to the basics. If you don’t have a buffer fund in case of emergencies, the first thing you have to do is emergency-proof yourself by having savings equivalent to three to six months of your expenses. The same advice applies if you have existing debts. Investing in cryptocurrencies is deemed highly speculative, and it might be better to put your money into making yourself debt-free first before joining the crypto bandwagon. Even if you do have extra cash and have a high risk tolerance, never put all your money in cryptos either. Invest only in what you can afford to lose. 4. Why the seeming frenzy? There are two schools of thought on cryptocurrencies. One belief is that digital currencies will be the future of money. As more locations agree to use bitcoin, the more it became more popular, particularly when its current value remains below previous peaks. At the other end of the spectrum are people who deem cryptocurrencies a bubble. To some futurists, this is not exactly a bad thing. Like the dotcom bubble in the 1990s, true innovation can occur once the bubble bursts, they say. It might take a while, however, before one can find out if digital coins like bitcoin would continue to have decentralized control on its distributed ledger (as opposed to being government-controlled and centralized). Despite these two contrary views, some people are not discouraged from getting into “fear of missing out” (Fomo) investing. As mentioned, there are tokens that function as a medium of exchange (cryptocurrencies). Those that are not purely cryptocurrencies may be classified as security tokens. Utility tokens, the third type, are used to gain access to a specific platform or features of a specific network/service. 6. What are ICOs and token generation sale? Initial coin offerings (ICOs) and token generation sale are new fundraising models. ICOs are similar to initial public offerings, but with one difference: ICOs are offers to buy the projects’ token or coins, and not company shares. A token sale is similar to a crowdfunding campaign of the issuer of the new token. If you are bent on investing in new tokens, do your due diligence. Consider ICOs that have working projects and not just proofs of concept. Check the domain expertise of the executive team. Read the ICOs’ white paper with a critical eye. Stay clear of projects that offer a mere wish list. You’d want to go for the ICO that shows signs that its team is driven to grow its network and services and the value of the token you hold. Join us at the biggest and most empowering investment conference of the year: #iCON2018 this May 26, 2018. 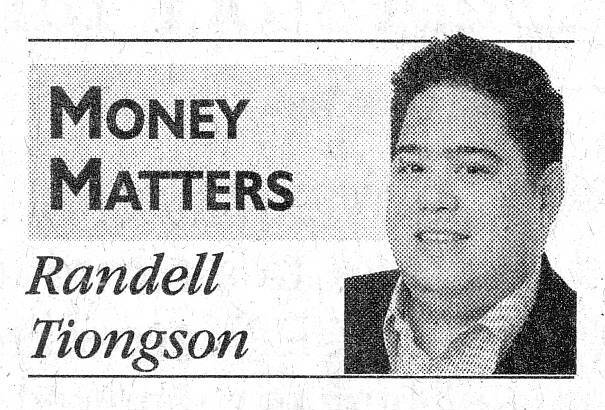 Randell Tiongson is a Registered Financial Planner of RFP Philippines. He is one of the most sought-after speakers in Personal Finance and Columnist of Philippine Daily Inquirer and Money Sense Magazine. He is best-selling book author of Personal Finance Step-by-Step Guide. How Much Premium Should You Pay For Earnings Growth? Previous: The Market Is Falling, What Should I Do?